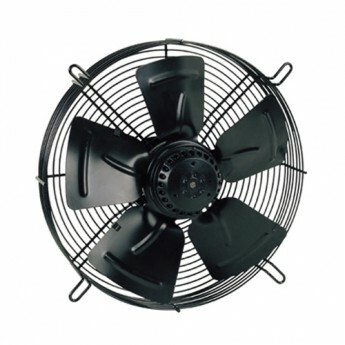 The insulation class of the YWF series axial fan motors is B, and the protection class of that is IP54. Each of the motor has a thermal protector in its winding. The applicable environment temperature of the fan motors used in condensers is from -30 oC to +60 oC, and that of the fan motors used in evaporators is from -40 oC to 60 oC.